Select the proper operating system. Follow the instructions on installation in here. *Note: Remember the path that you are installing the Anaconda into. You will later need it for setting the path in PyCharm (we'll dive into it soon). 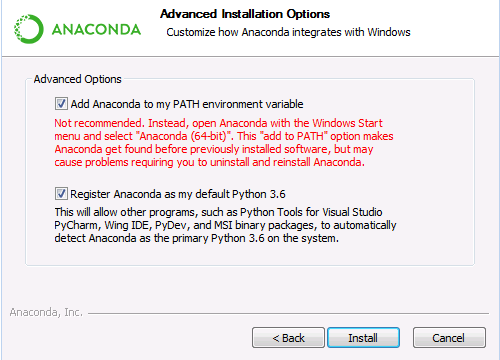 (For Windows): Make sure to select "Add Anaconda to my PATH environment variable". *Note: If you wanna learn more about Anaconda, watch this amazing video which explains it thoroughly.